14 hours, 54 minutes left! If you’re moving into a new home or are looking to find a cheaper deal on your energy then be sure to compare prices with Spark Energy. Simply follow the steps on the Spark Energy website and in five minutes you’ll receive a plethora of prices and tariffs to help you find the best energy deals. 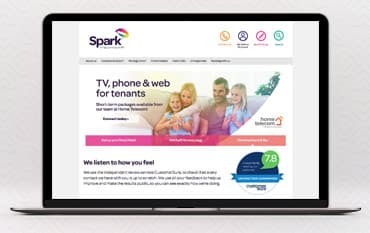 If you compare prices and find a better quote than the one you have now you can switch to Spark Energy in a matter of minutes, or if you’re moving home and want Spark Energy as your new energy supplier simply set up your online account, enter a meter reading, choose a payment method and leave the rest to them. As the only multi-utility company built around the home move experience, Spark Energy make sure to make light work of your home move to-do list so you can get on with the important things. Spark Energy provides customers with smart meters to help you stay in control of your energy usage and money spent on your water and electricity. Smart meters show you exactly how much gas and electricity you’re using and what you’re spending in real time, giving you clear sight of your usage via your in-home display unit. With a smart meter, you’ll also be able to say goodbye to estimated bills, save a ton of money over time on your energy and contribute to helping the environment. If you choose a smart pay as you go tariff with Spark Energy you’ll also gain access to the swift payg app that lets you top-up at the tap of a button anywhere, any time as well as ‘smart pay’ that lets you register to top up online. The Warm Home Discount scheme (WHDS) is a government initiative that helps low-income customers afford their winter energy bills. If you're eligible for the scheme, you'll receive a discount of £140 on your energy. There are two groups of customers who can benefit from the Warm Home Discount - the 'Core' group and the 'Broader' group. To be part of the Core group, you or your partner must be the named electricity account holder and be in receipt of either of the following: The Guarantee Credit element of Pension Credit only (not just the State Pension) or The Guarantee Credit element and the Savings Credit element of Pension Credit. Eligibility for the Broader group depends on your personal circumstances. If you think you may be eligible to part of this group you must submit an application form to your Spark Energy. If you need to contact Spark Energy please call 0345 034 7474. Your bill includes wholesale energy costs, delivery to your home, environmental government and social policies, operating costs and a Spark Energy profit. Spark Energy is the leading energy supplier for tenants across the UK. They work with the UK's top letting agents to ensure everything is ready when you move in. Choose Spark Energy and be welcomed home with working lights and hot bathwater and enjoy competitive prices with their 'Better than the Big Six' service, which makes them the natural choice for tenants and a popular supplier with homeowners too. Switch to Spark Energy now and use a discount code from us to save even more on your energy supplies. You can also enjoy a price promise and varied tariffs that are suited to all kinds of homeowners and budgets.